Last week our Schools team ran a bubble themed Prayer Space at Firle Church of England Primary School. Lloyd shares some of his thoughts about the space. ‘We try to make our Prayer Spaces immersive for the children, by creating a visually exciting space. There are activities that the children can engage with and opportunities for the children to produce something that they can take away with them, which can be used as an aid to help them remember what they have learnt in the space. Over two days the children engaged with a variety of activities from letting go of their worries, by popping bubble wrap, to thinking and praying about a special person in their life, by making that person out of pipe cleaners. They also got to meet Jonah from the Bible and he shared his story about how he ended up in a stinky fish’s belly. Jonah also explained how you can pray anywhere for God to help you, and you can give thanks to him when amazing things happen. I played the character of Jonah. I enjoyed telling his story in an interactive way. 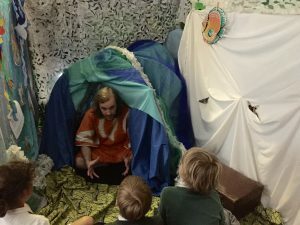 The children sat around a pop up tent that was made to look like the belly of a fish, the children were given the opportunity to ask questions at different points in the story, helping them to understand how might have been feeling. Children in years 4 and 5 enjoyed the story of Jonah the most. One child said ‘I enjoyed hearing the fishy story of Jonah’. Other children preferred the different zones in the space. A year 4 child told us ‘Worry bubble wrap was good, it makes you feel like your worries are gone’. Our Schools team also perform and write their own assemblies, create bespoke RE days with creative storytelling, run ‘It’s Your Move’ a year 6 transition programme, and are currently putting together a training programme for Christian schools workers. If you are interested in what our team do, and would like to find out more, or book our team to visit your school, please contact schools@bhcm.org.uk. 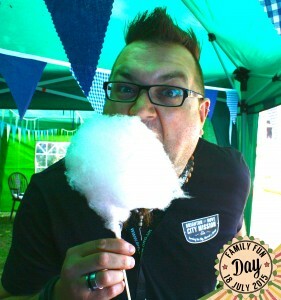 Join us on 16th July 2016 for a day of family fun! 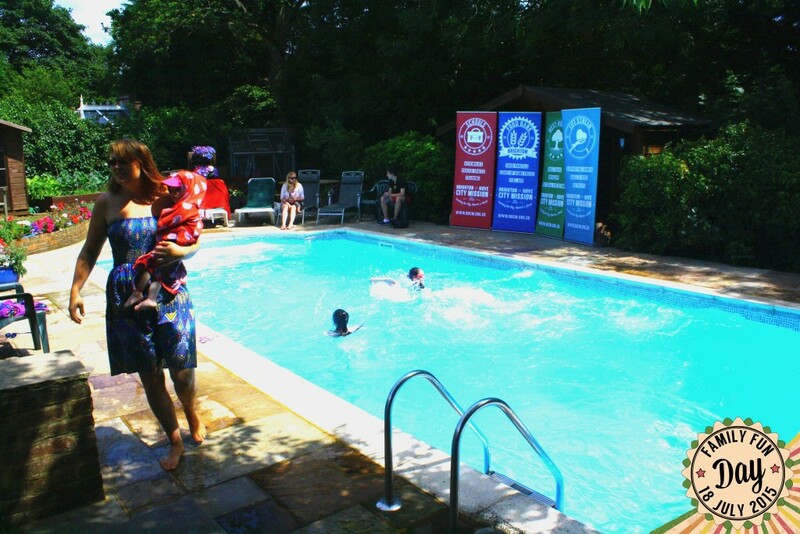 We would love you to come and join us at 27 Benfield Way, BN41 2DA on 16th July, from 12 – 5pm. 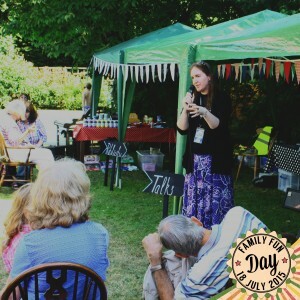 The day will be filled with plenty of family fun including a bouncy castle, swimming pool, fun games, candy floss, pick and mix and of course, an opportunity to hear about the work of the City Mission with hourly presentations. 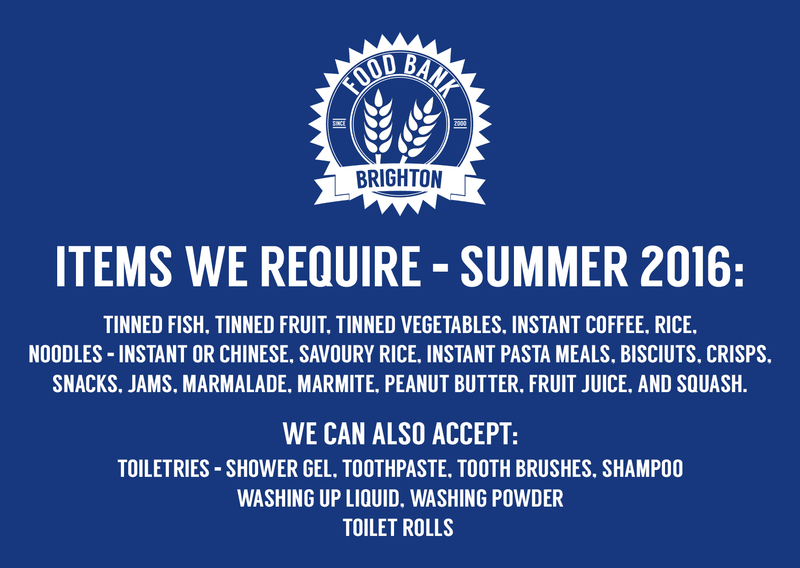 We are also please to announce that we will be supported by ‘Kitty’ the food van from Crossover Brighton, who will be serving burgers the whole day, with all profits going towards the work of the City Mission. Here is our 2015 Yearbook.